Dr. Paul Calitri has been proud to serve the community with state-of-the-art dental care for more than two decades. 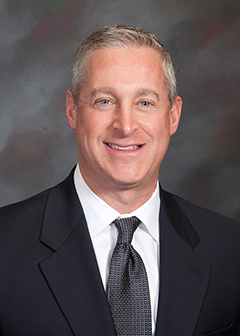 A Rhode Island native, Dr. Calitri grew up in North Kingstown and graduated from North Kingstown High School. 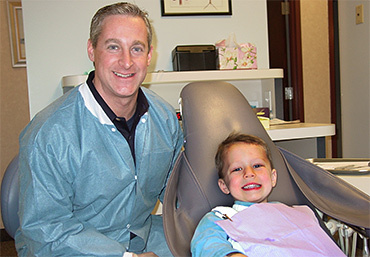 He enjoys getting to know patients while he and his team work to create an ideal state of oral health. Dr. Calitri continuously modifies and updates materials and techniques to serve his patients better, and regularly completes more than 30 hours of continuing education each year. In the past, he has served as a clinical instructor at the Tufts University School of Dental Medicine and the University of Rhode Island Dental Hygiene Department. Since 2011, Dr. Calitri has been nominated annually by his peers as one of Rhode Island Monthly’s Top Dentists. 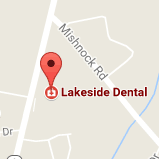 Lakeside Dental annually sponsors local sports teams, including Coventry Little League, Exeter/West Greenwich Little League, Coventry Youth Basketball, Coventry Youth Soccer, and the Ocean Community YMCA. Dr. Calitri is also a Donated Dental Services provider, offering dental care for disabled and medically-compromised patients in financial need. Since its inception, Rhode Island dentists have provided more than $5 million in free dental care to those in need.